A perfect gift for that special friend in your life. 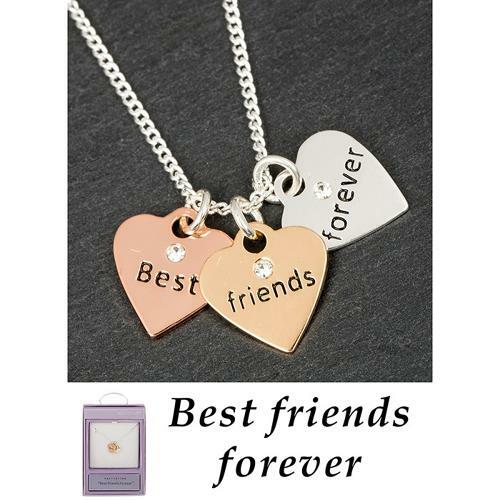 Featuring 3 individual hearts in rose, yellow & silver colour, with the words "Best", "Friends","Forever". Supplied on an extendable chain and comes in a pretty gift box.